At Bear Creek Eye Care we take pride in providing high quality eye care services to Riverside County. With our optometric center’s convenient location on the border between Wildomar and Murrieta, we are able to serve patients from both cities easily and comfortably. With the huge population growth of Murrieta over the last two decades, many new residents do not know where to turn for quality vision services. 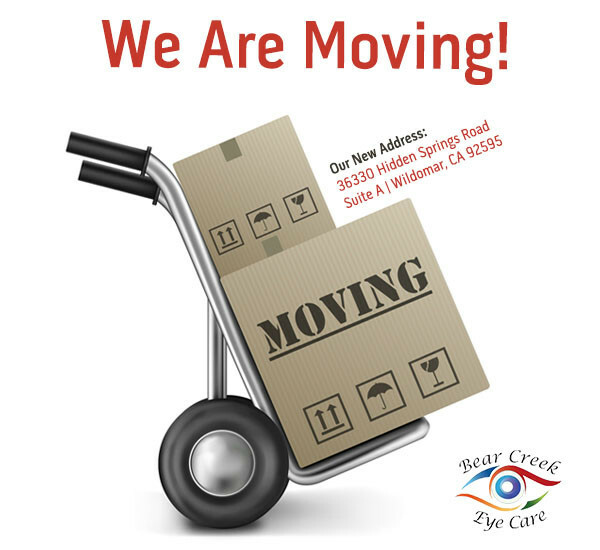 At Bear Creek Eye Care we are currently accepting new patients and would be glad to set up appointments for your entire family. When Should You Schedule Your Murrieta Eye Exam? No matter what your profession, it is advised to have yearly eye exams. With our optometrists located only a few miles away, receiving comprehensive vision care has never been easier. At our optometric center you will find everything you need from eye exams to contact lenses and glasses. With many of our Murrieta clients commuting to work in San Diego, it is important to make sure you have glare and UV protective lenses for your daily drive. Our optometrists will discuss your commute, work environment and lifestyle in order to provide the best eyewear solutions for your eyes. For those of you who work in an office setting, or who spend a lot of time on your home computer or mobile phones, our eye doctors specialize in Computer Vision Syndrome. Are you wondering when to bring your child in for their first eye exam? Not sure if they can see the board clearly at school? Call our office and speak to our trained staff about your concerns. We provide pediatric eye care for Murrieta children of all ages and will be happy to set up an eye exam for your child. Living in Southern California, it doesn’t matter how you spend most of your day, your eyes are constantly being exposed to the sun and its harmful rays. Our optical staff will help you choose the right sunglasses and lens treatments to protect your eyes at all times. 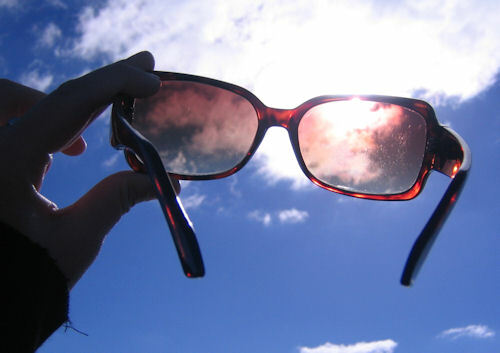 Some of the lens treatments available in Murrieta include: scratch coating, UV protection and anti-reflective treatments. You can also opt for transition lenses or other types of lenses that allow versatility with one pair of glasses. 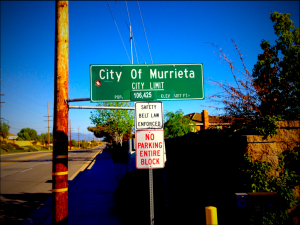 Murrieta, CA is a great place to live for people with active lifestyles. Whether you are outside playing baseball, swimming or spending hours at the beach, our eye doctors’ can fit you for sports and specialty eyewear. Sports glasses, goggles and specialty frames will increase your performance and provide protection for your eyes in potentially harmful situations. You can also speak to your eye care professional about vision training to help improve hand-eye-coordination and other vision related functions that can improve your game. And many more vision services. Remember, if you live in Murrieta, CA our optometrists’ are here to help you see clearly. Our office is located at 32100 Clinton Keith Rd Ste F a few minutes from Murrieta, CA. Click here for maps and directions. Call us today to set up your eye exam.